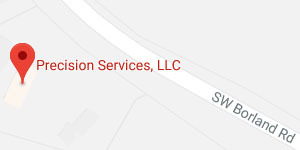 Precision Services is known for our exceptional workmanship, great service, and outstanding value. Our fully certified crews are courteous and respectful and take extra care to ensure that your property is protected throughout your entire project. We have rigorous standards to ensure quality installation and quality products. At Precision Services LLC, our roofing and gutter pros use the highest quality of locally sourced and American-made products for any size of roofing job. Every roofing project and gutter installation we perform is customized to the liking of our customers. We comply with HOA standards. Whether your home is a brand new construction project or a sturdy bungalow from the 1920’s we have the right experience for your roofing and gutter installation needs. Getting it done is important, but getting it done right is critical! We are a locally owned and operated company offering the highest quality installation for roofing and gutter systems. We provide fast and reliable services which include roof replacement, complete gutter and downspout replacement, and more. Homeowners in West Linn know that living in the Pacific Northwest means that their house, and more importantly their roof, will see an average of about 36 inches of rain each year. Having a solid and flawless shingle roof and gutter system is crucial to the structural integrity and curb appeal of a home. From roofing new homes to retrofitting craftsman bungalows, Precision Services can take care of your roof and make it last. Based out of West Linn, Precision Services covers the neighborhoods in and around Portland and Salem, so we are familiar with the type of roofing your home requires. All our roof and gutter installations, replacements, and repairs come with a lifetime warranty. While other roofing contractors may offer a variety of roofing and gutter services, we set ourselves apart with installations and repairs that come with a lifetime warranty. Our comprehensive and precise roof replacement service will remove the old shingles, inspect for any deterioration and dry rot. We strongly recommend replacement for any roof built before the year 2000. Our expert roofers will build you a quality roof that will last. Our gutter service includes installation, repairs, and cleaning. We can offer several different types of gutters for your home. At the end of the day, we want your home to be fitted with the perfect size and material of gutters. We won’t cut corners and leave your gutters connected to rotted fascia. Gutters are a critical element of the Pacific Northwest home, so let Precision Services handle all your gutter installation and repair needs and leave you with peace of mind. At Precision Services, we value the source of our products as much as our workmanship with every project. We care about sustaining both our local economy and American industry by using building materials manufactured by local businesses. Rest assured, the roof over your head and the gutters adorning your home are locally sourced and made in America. The shingles we use are manufactured by Portland-based Malarkey Roofing Products. Our aluminum and steel building materials are all American-made. 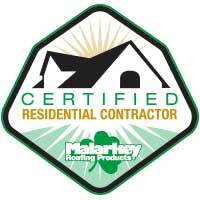 The Malarkey Certified Residential Contractor Program offers “roofing excellence” for our contractors and their team. This program offers a step-by-step application process to ensure that contractors are current on the latest industry accepted application procedures and installation techniques. 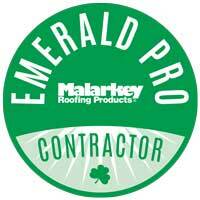 Our Emerald Pro Warranty is available exclusively through Malarkey’s Residential Contractor Program and offers customers an enhanced roofing system warranty supported by quality Malarkey products. An eligible Certified Roofing System (CRS) consists entirely of Malarkey products (see Table 1 listed in the warranty for a complete shingle list) and is constructed by our valued Certified Contractors using our latest published installation instructions.